Maruti Suzuki has launched the new 2016 Ertiga in India at Rs 5.99 lakh (ex-Delhi) going upto Rs 9.25 lakh (ex-Delhi) for the top spec SHVS variant. The new Ertiga is the second car to get the SHVS hybrid diesel engine after the Ciaz Hybrid. The 1.3-litre DDiS 200 SHVS diesel Engine in the Ertiga returns a claimed fuel efficiency of 24.52kmpl which is an 18 per cent rise when compared to the standard 1.3-litre DDiS Ertiga. The SHVS powered Ertiga will get an engine start/stop button, torque assist, brake energy regeneration and gear shift indicators. In addition to the SHVS diesel, the Ertiga will also come with a 1.4-litre K14B VVT petrol engine returns a claimed fuel efficiency of 17.5kmpl, an improvement by 9 per cent over the previous petrol motor. Both the diesel and petrol engine gets 5-speed manual transmissions while there is an optional automatic transmission that will be available in the VXi trim only. The new Ertiga gets a SmartPlay infotainment system with features like TFT touch screen display, integrated reverse parking camera, bluetooth, voice command and navigation system. 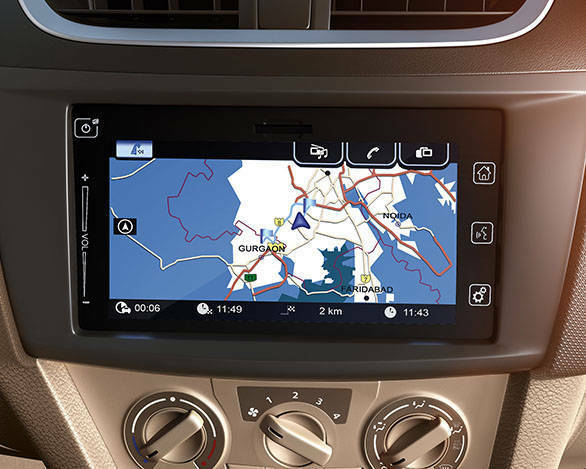 Compatible smartphones can be connected through the MirrorLink software making the smartphone features accessible on the infotainment display. The rear seats are now 50:50 split folding, thus improving the versatility of the MPV. The new Ertiga will go up against the Honda Mobilio, Datsun Go+ and the Chevrolet Enjoy. 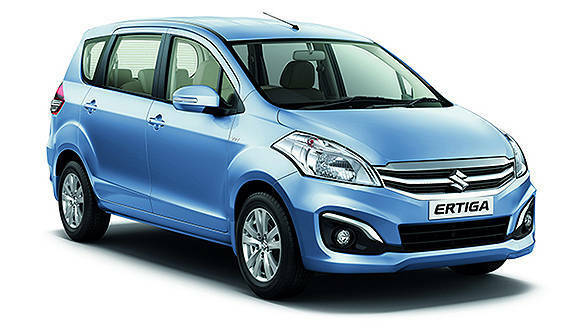 New Delhi, October 16, 2015: India's leading passenger vehicle maker, Maruti Suzuki introduced all-new Ertiga packed with several new features and technologies here today. Thanks to Suzuki's Smart Hybrid (SHVS) technology, all new Ertiga delivers an improved fuel efficiency of 24.52 km/l (up by 18 %) in diesel. Petrol variants also achieve 17.5 km/l (9 % improvement) by refining the acclaimed K14B engine. Presenting the all-new Ertiga, Mr. R S Kalsi, Executive Director, Marketing & Sales,Maruti Suzuki said, "With SHVS technology, Ertiga Diesel is the first Smart Hybrid MPV in India, delivering best in class fuel efficiency of 24.52 km/l. The new Ertiga sports elegant looks and offers rich interiors. Several acclaimed features like SHVS technology and SmartPlay infotainment system are now available on Ertiga, making it a delightful package for customers. " Added Mr Kalsi, "We are happy to introduce safety equipment such as dual airbags, ABS with EBD, seatbelt with pre-tensioners and force limiters on the base trim as an option." Ertiga has cumulatively sold over 2.25 lakh units in the domestic market, and the company enjoys a market share of over 20% in the MPV segment. 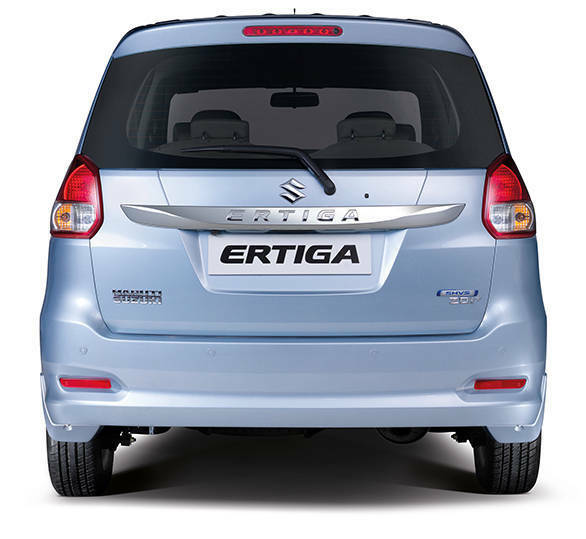 Ertiga is available in Petrol, Diesel (SHVS-Hybrid) and CNG fuel options. Elegant Exteriors The all new Ertiga now has bold and aggressive looks. Several embellishments include new stylish chrome grille, new chrome fog lamp bezel, back door garnish with embossed "Ertiga" lending a dash of luxury. The new sportier bumpers give the Ertiga a wider look and the new alloy wheels enhance road presence. Premium and Stylish Interiors The interiors get more stylish with the new high grade seat and door trim fabric. With a 50:50 split on the third row Ertiga's spacious cabin becomes even more versatile. Improved Fuel Efficiency and Performance The DDiS 200 diesel engine in combination with Variable Geometry Turbocharger (VGT) generates optimum power and high dynamic torque for excellent acceleration. Equipped with Suzuki's innovative technology, Smart Hybrid Vehicle by Suzuki (SHVS) in the diesel, Ertiga now delivers an enhanced fuel efficiency of 24.52 km/l, 18 per cent higher than the outgoing version. 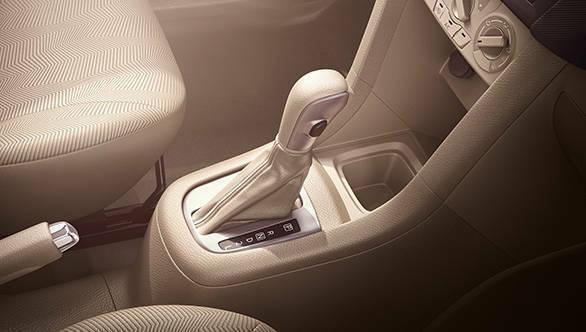 Ertiga is the second model in Maruti Suzuki's portfolio to get this environment friendly technology. The SHVS powered trims get features like Idle Start Stop, Torque Assist, Brake Energy Regeneration and Gear Shift Indicator to provide the best in class drive and comfort to customers. In the petrol trims, Ertiga gets the new generation K14B engine with reduced friction levels and a higher compression ratio leading to better combustion and improved fuel efficiency. The petrol variant is offered in 5 speed manual and 4 speed automatic transmission. More Comfort & Convenience Description: C:\Users8093\AppData\Local\Microsoft\Windows\Temporary Internet Files\Content.Outlook\D77ZP3A0\Ertiga_Pearl Blue Blaze_Color.jpgThe new Ertiga comes with premium SmartPlay infotainment system, with features like TFT touch screen display, bluetooth, voice command, navigation system and a reverse parking camera with display. Compatible smartphones can be connected through MirrorLink, which enables the users to access various features of your smartphone. Other new features include Push-Start/Stop with smart key, electrical foldable ORVM, Bluetooth audio and 2nd row accessory socket. Enhanced Safety The driver airbag and driver side seat belt reminder with buzzer are now standard features and available from the base variant. More safety equipment including co-driver airbag, ABS with EBD and seat-belt with pre-tensioner & force limiter are provided on the base variant as an option. Rear parking sensors and rear parking camera add to the safety quotient of the vehicle.